**Updated December, 2015 – This post was originally published in May of 2015, however I’ve added more storage units for my ink pads so I’m updating with new information and photos. This is my ink pad storage at the moment (always growing!). It consists of two storage units from Stamp N Storage. 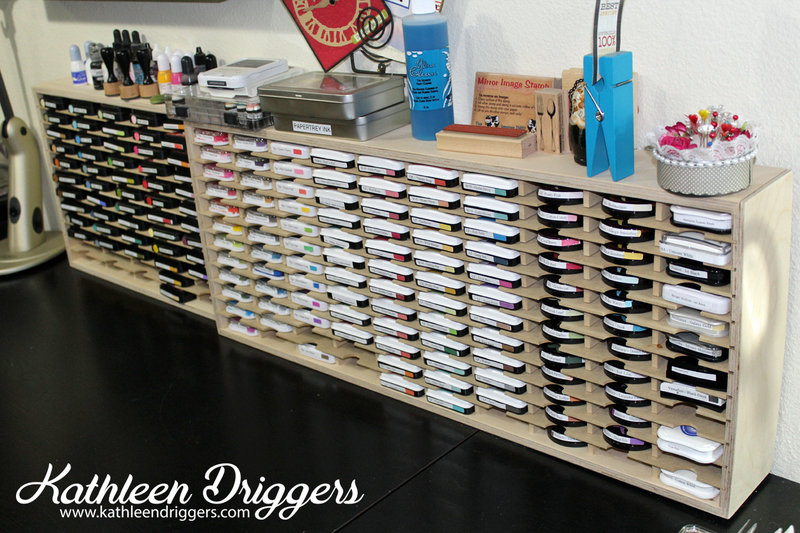 It holds up to 60 of the Tim Holtz/Ranger Distress Ink Pads, as well as the PaperTreyInk Ink Pads and Marvy Ink Pads. 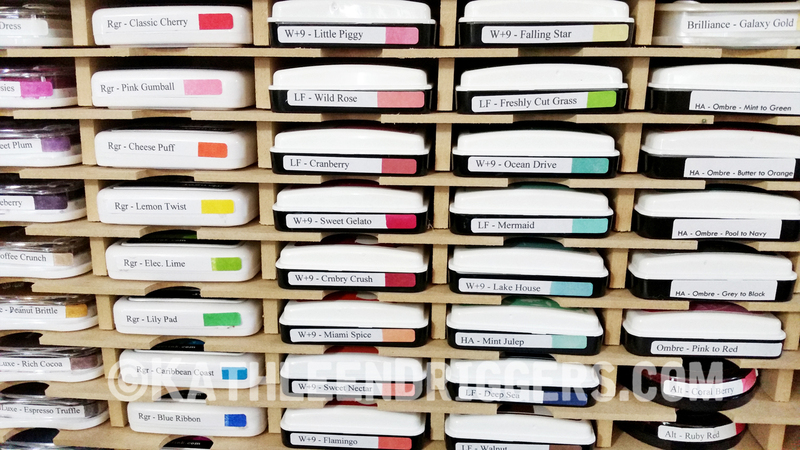 All of my other ink pads are stored in the Slim 120 Ink Pad Holder. The Slim Ink Pad Holder comes in many sizes but I bought the largest which holds 120 ink pads. This is what it looks like empty. When I chose this piece, I had NO IDEA I would fill it up immediately! I honestly thought I had about 60 ink pads and that this would give me “room to grow”. However, once I started adding my inks, I quickly realized I had a lot more inks that I realized! as well as a few stragglers from misc. companies. 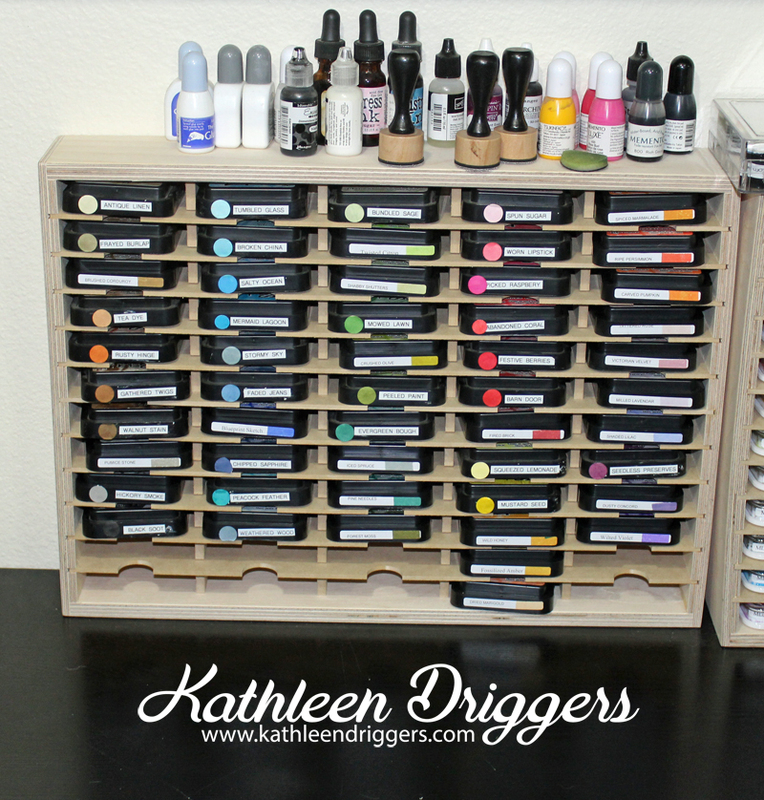 As you can tell from the photo, I used to store my distress inks in this Best Craft Organizer – PortaInk Dual Swivel Travelers which spins around and has storage on top for reinkers, etc. It costs $47.99 when it’s not on sale and you can get it by clicking on the link above. 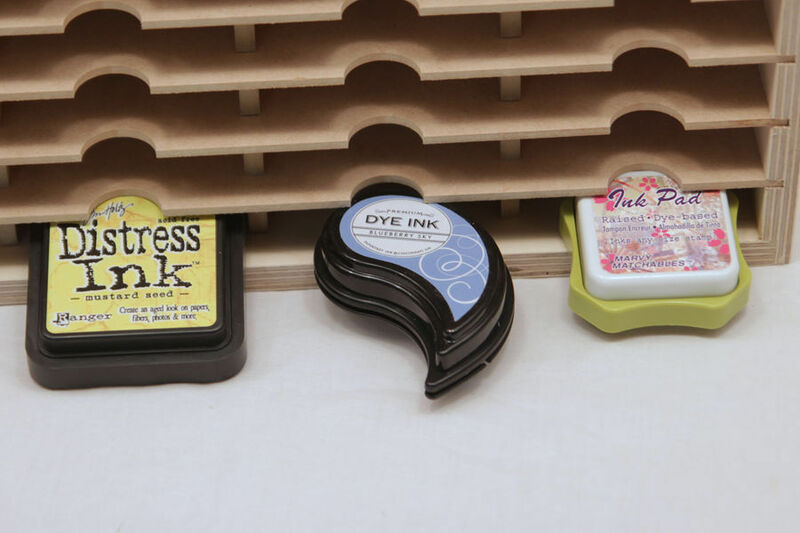 If you are going to store distress inks in this holder, you will need to purchase the inserts, they are called Portaink Standard Ink Pad Inserts and they cost $9.49 for a set of 24 (you need two packs if you are going to fill the organizer with all distress inks). 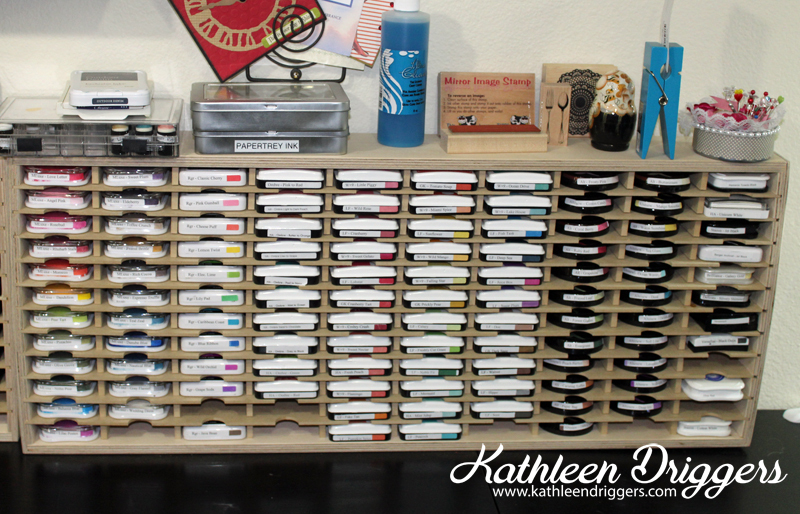 CTMH and Stampin Up’ Inks also fit in this storage piece. This storage unit worked fine but I ran out of room and don’t have enough table space to fit more than one on my desk. If you have any questions about the products I use to store my ink pads, or products I’ve used in the past, please feel free to contact me, or leave a comment and I will get back to you right away! I am impressed with your organization tools. I really like your stamp pad holders. thanks! They are great quality!